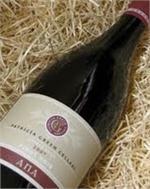 The 2009 A to Z Oregon Pinot Noir restrains power while balancing richness and purity with a clean and refreshing finish. Classically proportioned and built for midterm aging, the wine will continue to build weight and structure with cellaring. Wine Spectator -- 91 pts. 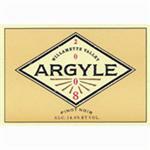 Light red/purple coloring with aromas of cherry, pomegranate and raspberry on the nose and the palate. There is just the hint of brown spices and cinnamon and you feel the presence of the oak from the French barrels. An admirable glimpse of the Willamette Valley's finest offerings, our Reserve Pinot Noir is truly a celebration of balance. All three of our vineyards are based in volcanic, red soils, contributing to its red cherry, rose mallow, and grilled meats. "Earthy, with a slightly sour edge to the cherry and black olive flavors, lingering on the licorice-scented finish. Drink now through 2012. 686 cases made." Rated: 92 by Josh Raynolds, Jul/Aug 15 Stephen Tanzer's International Wine Cellar Bright ruby-red. Red and dark berry preserves and gingerbread on the nose, with cola and vanilla nuances gaining strength with aeration. Firesteed Pinot Noir Oregon 2013 - Ruby red in color with aromas of strawberries, cedar and spice the wine's luscious flavors of vanilla bean and cherry tart are well-supported by its surprising structure. Firesteed Pinot Noir Oregon 2014 - Ruby red in color with aromas of strawberries, cedar and spice the wine's luscious flavors of vanilla bean and cherry tart are well-supported by its surprising structure. Our secret, old family recipe using 14 different grapes. This medium-bodied, Rhone-style blend is incredibly versatile. Formerly known as the Grand Rouge. Rooted deeply in the ancient soils of Oregon, Highland Springs like our vines are defined and refined by the soils in which they are borne. Bright melon, banana and pear welcome you, followed by minerality and spice. Bright ruby-red. An exotically perfumed and expressive bouquet displays raspberry, cherry compote, sassafras and five spice powder, with a subtle floral note in the background. Fleshy and energetic in the mouth, offering deep dark berry and licorice. Wine Spectator 94 Points! Pas de Nom literally means "no name" but this cuvee from Penner Ash has made a big name for itself with a string of really strong scores in the 94-95 point range. This one received a Wine Spectator 94 Points. Dark ruby in color, this exceptionally perfumed Pinot displays an aromatic array of wood smoke, toast, floral notes, black cherry, and black raspberry. This leads to an elegantly styled, spicy, focused, impeccably balanced wine with excellent volume. 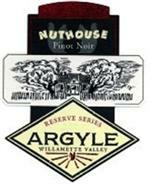 91 Points The Wine Advocate The 2008 Pinot Noir Willamette Valley was sourced mainly from the Chehalem Mountain AVA. Darker in color, aromatically it leans toward the black fruit side of the spectrum with aromas of incense, violets, and black cherry. Wine Spectator rating of 93. Wine SpectatorSupple and elegantly structured, with expressive raspberry and orange zest aromas and polished flavors that pick up depth and momentum toward a spicy finish framed by refined tannins. Drink now through 2023. Wine Spectator. Rated 94. Soft and fragrant, this is remarkable for its silky texture and seamless structure. Pretty strawberry and currant fruit pulse gently at the core, shading toward white pepper as the open-textured finish lingers elegantly.